Latex and latex-free gloves are below. IDiaper wants to help protect you. The use of gloves is a necessity today. They help protect yourself and those around you. Medical gloves are recommended to be worn for two main reasons: to reduce the risk of contamination of people’s hands with blood and other body fluids; and to reduce the risk of cross contamination from patient to patient. Do not take a chance of transferring bacteria, etc. to those around you. 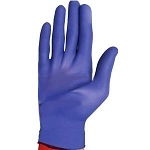 The use of gloves cuts down any chance of cross-contamination. Gloves should be used during all activities of care involving blood and all other body fluid. IDiaper offers many different types and styles of gloves for your specific use. They are available in specific and general sizing. Most are available in the smaller box packaging. IDiaper.com has many types of medical and other gloves. Try aloetouch gloves or good vinyl exam gloves to help keep clean when dealing with incontinence issues. Medical Gloves protect the hands and allow cleaning up tough messes to be much easier. The aloetouch variety soothe the hands while protecting them. Aloe coats the inside of the glove and makes the glove more comfortable. Gloves create an important barrier when disposing of incontinence products. An example of a good, inexpensive medical glove is the Aloetouch 3G PF Exam Gloves by Medline. It is more soothing because of the Aloe. Medline is a trusted brand. It is latex-free to steer clear of latex allergies. 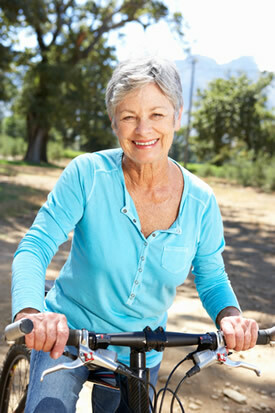 It doesn't cost a whole lot, and it works well for tasks such as dealing with incontinence issues. Other types of gloves are available. Good gloves are an important addition to an incontinent person's or caregiver's toolbox. There are many types to choose from and most of them work well. Be sure and steer clear of latex gloves if you think you might have a latex allergy. Choose a size in relation to the size of your hands. Enjoy peace of mind and added protection. Personal hygiene is very important in the world of incontinence. The use of gloves helps to protect yourself and those around you. They are recommended for two main reasons: to reduce the risk of contamination of people’s hands with blood and other body fluids; and to reduce the risk of contamination from patient to patient. The use of gloves is a necessity. Do not take the chance of transferring anything biological to those around you. The only way to do that is by wearing gloves. Idiaper carries many different brands, types and styles of gloves. They are available in the small box packaging so you do not need to order a full case.